The classroom, often the scene of intense human interplay, is a recurrent theme in cinema, with teachers in the leading roles. Led by freethinking literature teacher Frédéric Game (Patrick Bruel), four young teachers decide to bring new methods into the classroom. But when they’re confronted with opposition from their older and old-fashioned colleagues, they unleash a fierce wave of childish pranks, among other things spiking the math teacher’s coffee with alcohol and giving the Marxist geography teacher a Hitler-style shave. Taking nonconformism and rebellion to a whole new level, the hilarious comedy was inspired by the student riots and protest demonstrations of May 1968. If the jokes are quite dated now, the cast remains superb, especially stage and screen star Fabrice Luchini as the extroverted art professor. 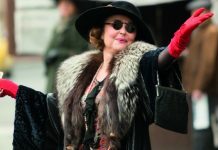 A highly intelligent pianist, middle-aged Erika Kohut (Isabelle Huppert) is obliged to teach music to make a living. But she’s also driven by sexual obsessions and repressed by her domineering mother. When she meets Walter (Benoît Magimel), her new young student, she decides to invite him into her wild, masochistic fantasies. 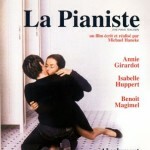 La Pianiste won the Cannes Film Festival Grand Jury prize, as well as Best Actress and Best Actor awards for its stars, with its fascinating tale of power and perversion, in which the positions of teacher and pupil are abruptly reversed. The result is a disturbing, raw and moving film with a stellar performance by Huppert—probably the best actress of her generation, but possibly the most horrific teacher ever on screen. An unexpected critical and public success, Etre et Avoir is a touching documentary about a one-room village schoolhouse in rural Auvergne, where Georges Lopez teaches 13 children, ages four to twelve. Aside from learning to write and count, the kids discover cooking, the art of riding tractors, and mostly how to live in harmony with one another. Warm and mesmerizing, the film captures the nature of education through beautiful, impressionistic takes. Close to retirement, Lopez shines as a paragon of dedication with a true vocation for teaching. This moving piece on the mysteries of childhood will win your heart—as will little Jojo, the true star of the film. Awarded the Palme d’Or at the Cannes Film Festival, Entre les Murs is a riveting, insightful look at one year at a racially mixed inner-city high school in Paris. François Marin (played by François Bégaudeau, a former teacher himself and author of the novel on which the film is based) hopes to inspire his students but faces mixed success and at times utter failure. 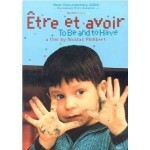 Rarely has a movie so realistically portrayed the French education system. Packed with verbal battles between the students and their teacher, Entre les Murs captures the dynamics of an average Parisian classroom today, with its multiple cultural backgrounds and shifting balance of power. It’s a fresh, though certainly not idyllic, image of modern French young adults as they struggle to cope with cultural norms. Back on screen after a hiatus of several years, Isabelle Adjani plays Sonia, a long-suffering French high school teacher who is constantly subjected to rudeness, taunting attitude and lack of respect from her students. After a scrum between two violent pupils, a gun falls to the ground at Sonia’s feet. Grabbing it, she accidentally wounds one of the boys, then impulsively takes half the class hostage. A powerful social thriller, La Journée de la Jupe takes on numerous issues including religious intolerance, immigration, lack of respect for women and pedagogy. Full of emotion and brutality, the film might have been far different if not for the extraordinary performance by Adjani, who won her fifth Best Actress César for this role. For more film reviews and news, visit France Today Cinema & Film. I recently returned from two and a half weeks in Paris, after an absence of thirteen years! Renewed my love for the city, & it’s history, as well as eating, & shopping, although quite a bit more expensive than last time! I, too, live in San Francisco, but have never heard of you, or your books, unfortunately. Now, I’m dying to get my hands on your first one, so that I can start at the beginning! Perhaps, I can suggest it for my next book club meeting. Wonderful article and now I’m going to start reading the series. We live in the 16th about 6 months a year so I’m sure there will be many places we’ve been to or know about. J’adore les romans policiers. I read Murder in the Marais a few years ago and liked it. 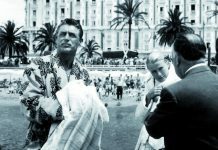 I read Murder on the Ile Saint-Louis while I was renting an apartment on the Ile for a couple of weeks two years ago. My stay was terrific; the book was just okay. I don’t know if I would try another one. While her titles are intriguing, I have never enjoyed her writing style. They are standard detective stories, devoid of character depth. I’ve read two and began a third (Passy), so I certainly have tried. Thanks for being an inspiration. You will be much more of an inspiration now that I know you. I recently moved from LA to Paris after first visiting here in 1992. Ah, the Frank, he was my good, good friend. We did everything together. Now the Euro, well, it’s taken a few years to get her to come around. Slowly but surely, she is starting to see me as attractive. Ooo-lala. I wrote my first poetry book in Paris several years ago.